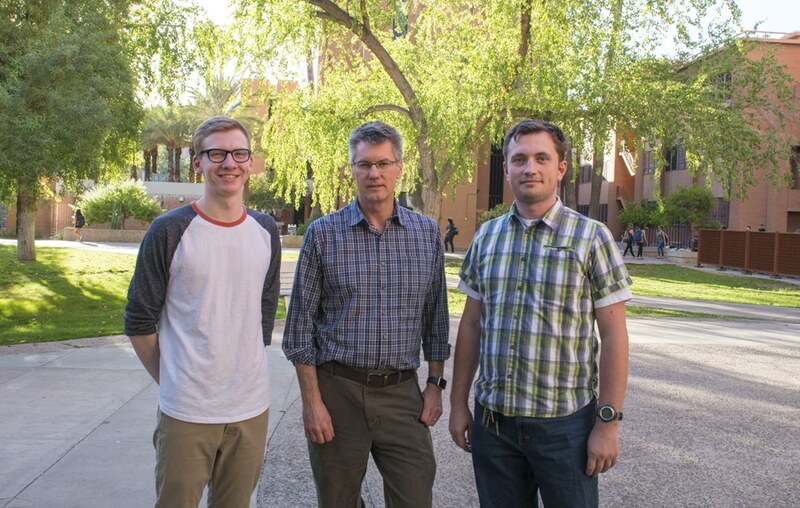 A new National Science Foundation (NSF) grant has been offered to Arizona State University and Kevin Redding, professor in the School of Molecular Sciences and director of the Center for Bioenergy and Photosynthesis (CB&P), for a study on altering the generation and consumption of energy in a nation. The aim of Redding and his team is to achieve the production of algal hydrogen at industrial level. A goal that requires an improvement over current technology by at least five-fold. I do not view hydrogen so much as a fuel, but as an essential commodity that we consume at a rate of over 20 million metric tons per year—and which we now make by steam reformation of fossil fuels, a process that is energy intensive and produces carbon dioxide, if we could replace even a part of that with algal biohydrogen that is made via light and water, it would have a substantial impact. However, the state of the biohydrogen field is not even close to where it needs to be in order to be commercially viable. We thought that some radically different approaches needed to be taken—thus, our crazy idea of hooking up the hydrogenase enzyme directly to Photosystem I in order to divert a large fraction of the electrons from water splitting (by Photosystem II) to make molecular hydrogen. The fact that not only algae and plants but also cyanobacteria produce oxygen and “fuels” (or oxidizable substances such as hydrogen and carbohydrates) through photosynthesis is well known. Two pigment-protein complexes, namely Photosystem I (PSI) and Photosystem II (PSII), mobilize the primary light reactions during oxygenic photosynthesis. Algae, that is, single-celled green alga Chlamydomonas reinhardtii (or “Chlamy”), include an enzyme known as hydrogenase that uses electrons obtained by it from ferredoxin, a protein used to transfer electrons from PSI to different destinations. The oxygen continuously synthesized by PSII briskly and irrevocably inactivates the algal hydrogenase. Researchers believe that the challenge can be overcome by directly linking the hydrogenase with PSI, together with the actuality that hydrogenase contends for electrons weakly and that oxygen inactivates it. In a future commercial system, the aim will be to initially grow the cells as usual, and to subsequently change over to a mode in which the majority of the electrons are used up to synthesize hydrogen, thereby transforming it from an inexpensive replicating system to a “biofactory” where synthesis of hydrogen from water is driven by sunlight. The proposed systems provide an obvious way to do that by turning on the genes encoding the linked PSI-hydrogenase proteins. Consequently, electrons will be diverted away from carbon dioxide fixation to hydrogen production. The NSF grant has been awarded from the U.S.-Israel Binational Science Foundation (BSF). As part of this collaboration, a U.S. researchers and an Israeli researcher collaborate to form a joint project. The U.S. researcher submits a grant on the collaborative project to the NSF, and the Israeli researcher submits the same grant to the Israel Science Foundation (ISF). For acquiring the BSF funding, both organization have to give consent to fund the study. Professor Iftach Yacoby of Tel Aviv University, who is Redding’s partner on the BSF project, is a young researcher who initially started his research at TAU nearly half a decade earlier and has concentrated on disparate techniques to increase the synthesis of algal biohydrogen. Redding has also been collaborating with ASU’s Global Institute of Sustainability to create a module within their Wells Fargo Regional Sustainability Teachers Academy. They have collaborated with Molly Cashion and Robert McGehee, the Academy Program Coordinators. The researchers will create a module for screening algae by using an agar overlay technique. They will instruct local middle and high school teachers to perform this procedure in the Academy. The assay can be performed by the teachers using just a microwave oven and water bath. Their students will construct their illuminators from a cardboard box by using LED strips and AA batteries. Undergraduate student volunteers will fetch other materials to classrooms and help the teachers as per their requirements. Plates are used for growing the algae, the plates are covered by using agar combined with Rhodobacter, and left to develop overnight. The students will be able to image the algae the next day by using their phone cameras through a small green interference filter offered through the grant. Thus, they can draw their own conclusions as to the best hydrogen-producing strains. This project puts together next-generation science teaching concepts which involve driving the learning of students by their own inquisitiveness. Initially, they are just given a cursory explanation. When the experiment advances, the research team will answer their questions on how the process works. The students are encouraged to conduct the experiment under different conditions to find the best algal strains and the way to induce them to produce more hydrogen. Thus, the students turn collaborators in the discovery.